RS Plumbing Solutions (RSPS), Inc. has over 17 years experience in the plumbing industry and has been servicing full-scale property management plumbing needs for commercial and private home properties for over six years. Our experience in providing excellent quality work at an affordable price has made us the primary plumbing company for many of our clients. Our property management clients have specifically made us their exclusive vendor, recommending us to tenants and property owners alike! We provide the best prices in town, and we can guarantee it! How? By doing the same thing we’ve been doing for 23 years in the Bellflower, CA, community: undercutting written estimates provided by our competitors! 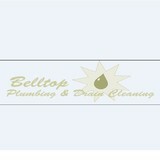 We are Belltop Plumbing & Drain Cleaning, and we want to be your top choice for plumbing services! Low rates aren’t the same as cutting corners, though! We are fully licensed, bonded, and insured to protect our customers, and we only employ industry certified, experienced professionals. We wouldn’t trust our clients with anyone else! We are local to the Bellflower, CA, community, so we guarantee to get to you in under 90 minutes! We can provide same day service for virtually any problem! Our services include but aren’t limited to: emergency plumbing services, hydro-jetting service, electronic leak detection, kitchen and bathroom plumbing, clogged drain cleaning, water heater repair and installation, and main line trenchless sewer repair! Call Belltop Plumbing & Drain Cleaning today! 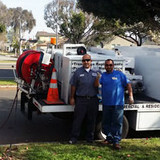 IRC Plumbing Inc. has been providing the highest quality plumbing service in Norwalk, CA. We handle everything from leaky faucets, sewer line repair, and fixture installation to re-piping. There are hundreds of less-than-reputable “plumbers” out there who’ll take your money and leave you with plumbing worse than you started with, or even good plumbers who will take advantage of you knowing that you’re in a tight spot. We never sacrifice quality for cost! We have the best prices and services in town! For the last 24 years, those of us at Whittier AAA Rooter & Plumbing Co have beaten our competitors’ price rates in Whittier, CA. We are a fully licensed and insured company, and we always do the job right the first time, leaving nothing for you to worry about. All of our employees are certified to handle any plumbing problem you might be dealing with. We will always provide our customers with the best customer service experience by providing friendly, knowledgeable plumbers. The fact that we are a local Whittier, CA company means that we can be at your door in under 90 minutes! Our services include but aren’t limited to: clogged drain cleaning, water heater repair and installation, main line trenchless sewer repair, hydro-jetting service, electronic leak detection, kitchen and bathroom plumbing, emergency plumbing services, and more! 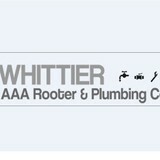 Call us today and experience why Whittier AAA Rooter & Plumbing Co is the best! No one can beat our prices or service with a smile, and we always beat our competitors’ estimates! For over 22 years, those of us at Cerritos ASAP Plumbing & Drain have provided the best plumbing service in Cerritos, CA. We are fully licensed and insured, leaving nothing for our customers to worry about. All of our service techs are certified and experienced to handle any plumbing issue that could possibly arise. We always provide our customers with the most knowledgeable, friendly and timely customer experience, and we do it with a smile. The fact that we are local to Cerritos, CA means that we can be at your door in under 90 minutes! If you need emergency plumbing services or our regular plumbing services including but not limited to: clogged drain cleaning, water heater repair and installation, main line trenchless sewer repair, hydro-jetting service, electronic leak detection, and kitchen and bathroom plumbing, we’re here for you! Call now and find out why Cerritos ASAP Plumbing & Drain is the best plumbing company you’ll ever call! We provide sewer pipe locating and video services visually documenting pipe condition and troubleshooting. Get more for your money when you call My La Mirada Plumber Hero. For over 20 years, Yandel Silverman and his team of expert plumbers has provided the best emergency plumbing in town. We offer everything from drain cleaning and leak detection to water heater repair service and trenchless sewer line repair. Call us 24 hours, 7 days a week, to schedule a same day appointment. We can even be at your La Mirada, California, home or office in 60 minutes or less, so you won't have to wait! We are fast, we are affordable, and we're reliable. Find out why your friends and neighbors have been counting on us for decades – let us be your hero, too! We’ve learned the secret to low rates---take your competitor’s written estimates and beat them! We’ve been ticking them off with that little pearl of wisdom for more than 25 years! Here at Cypress Discount Plumbing & Drain, we strive to offer the best discount for plumbing services in Cypress, CA. Lower prices don’t mean cut corners on our end, however: we are licensed, bonded, and insured to protect our clients. We only hire industry certified, trained, and experienced professionals. Why? Because we want to cut costs through efficiency, not incompetency! Best of all, we’re local to Cypress, CA, which means that we can get to you fast! In fact, we guarantee that we can be pulling up into your drive in under 90 minutes! If you’re in need of emergency plumbing services, kitchen and bathroom plumbing, clogged drain cleaning, water heater repair and installation, hydro-jetting service, electronic leak detection, main line trenchless sewer repair, or any other services, we can take care of you! Contact us today and let the knowledgeable crew of Cypress Discount Plumbing & Drain work for you! When you need plumbing work done properly, whether it is as simple as a clogged pipe, or as potentially complicated and sensitive as a sewer repair; Royal Aces Plumbing Inc is the go-to in the Buena Park, Fullerton and Cypress areas for quality plumbing work done on a timely schedule. With many years of combined experience in the field, Royal Aces Plumbing Inc stand out from our competitors through our attention to detail. 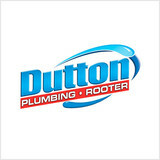 Owner, Taylor Jones began working in the plumbing industry in 1998. He gained invaluable experience while employed by prestigious plumbing companies in both Santa Barbara and Santa Maria, providing service across all parts of Santa Barbara County. Taylor began as an apprentice at the age of eighteen, and quickly learned the trade of plumbing, taking on more challenging projects as his career progressed. He earned his California Plumbing Contractor License in 2009, and decided it was time to launch his own business to provide the best service to the communities that he has already served for so many years. Taylor has completed countless quality jobs in new construction and remodeling, as well as providing prompt service to clients in need, both in residential and commercial settings. Our business is our livelihood but it is also so much more. Plumbing Team Inc. was started to fill in a void in the current market and to make a business that the people of Los Angeles and surrounding areas can place their trust in. Over the years we have never lost our commitment to our clients and that is what has allowed us to succeed in a very competitive industry. We stand committed to our purpose as we stand committed to the people of Los Angeles and surrounding areas. We have earned a solid reputation as a reliable and convenient resource for plumbing solutions. Also, because we can tell you the price for a service before getting started, there will be no surprises. Our plumbing repair services include: Toilet Repair & Installation, Clogged Drains, Tubs & Showers, Sinks, Water & Sewer and Gas pipes, Water Heater Repair and Replacement, Garbage Disposals, Sump Pumps, Interior & Exterior Faucet Repair or Replacement.